Today in Lent Madness, it’s the last matchup of the Saintly Sixteen as Eglantyne Jebb squares off against Catherine Winkworth in the Lent Dome. To get to this round Eglantyne routed Seraphim of Sarov while Catherine upset Isaac Watts. If you had a big weekend and/or your memory is shaky, on Friday Martin de Porres defeated Dymphna 62% to 38% to advance to the Elate Eight where she’ll face Maria Skobtsova. Tomorrow we begin the Elate Eight, aka the Round of Saintly Kitsch as Peter faces Esther. Hold on to your Bibles, folks! Charismatic British social reformer. Fierce human rights advocate. Brilliant organizer. Savvy political activist. Generous philanthropist. These are just a few ways one might describe Eglantyne Jebb, the founder of Save the Children, the international organization that promotes children’s rights and supports them in developing countries around the globe. Save the Children is often told that its aims are impossible – that there has always been child suffering and there always will be. We know. It’s impossible only if we make it so. It’s impossible only if we refuse to attempt it. The only international language in the world is a child’s cry. Relief work does not consist entirely in wearisome appeals … it has its moments of enchantment, its adventures, its unexpected vistas into new worlds. As far as quirks, well, perhaps her name itself counts. Eglantyne? That generally doesn’t appear on the annual list of top ten baby names. According to Nameberry, it is a name rich in associations of religious devotion. “In The Travels of Sir John Mandeville, the author mentions three crowns of thorn used by the Roman soldiers when they tortured Jesus: one of hawthorn (when they arrested Jesus in the garden); one of eglentine or briar rose (when they brought him before Caiphas); and one of the sea reeds (when he was crowned before Pilate).” In any case, Eglantyne probably had a tough time in middle school. We’ll end with a story that shows Jebb’s power — of persuasion, of persistence, and of passion. After receiving front-page coverage for her arrest protesting the Allied blockade’s impact on children following World War I, Eglantyne was savvy enough to know that publicity alone would not feed the starving children of Europe. Determined to capitalize on her newfound celebrity, Jebb decided to hold a public meeting to garner further support for her cause. Being an optimist, she booked the biggest venue in London: the Royal Albert Hall. News reports say it was standing room only. Unfortunately, it soon became clear that the crowd was not entirely there to support her. Many arrived with rotten fruit and vegetables to throw at this ‘traitor’ who sought to support ‘the enemy’. After a hesitant start, Jebb’s voice rose in conviction and strength until she cried out, ‘Surely it is impossible for us, as normal human beings, to watch children starve to death without making an effort to save them’. In the stunned silence that followed, a collection was spontaneously taken up. If you could have dinner with a group of people in history, who would it be? Does your mind race to Paris, where Gertrude Stein held parties with Ernest Hemingway and F. Scott Fitzgerald? Or do you gravitate to New York for the Harlem Renaissance after the Great African-American migration? Do you imagine spending time with Langston Hughes and Zora Neale Hurston while listening to Duke Ellington? Or could your answer center around Catherine Winkworth and her friends? Throughout history, we have seen genius constellations gather—people who seem drawn to one another’s brilliance, whose art stands out in proximity to the shining light of another. Winkworth was one of those bright stars as she gathered among women whose talents shed light on the social ills of their day and whose generosity worked for system change. Winkworth had a way with words, as she translated many of our finest hymns from German, perhaps this is why she also connected with extraordinary novelists, poets, and musicians. Winkworth seemed especially drawn to proto-feminists who combined social commentary with Christian morality. They were artists who struggled on behalf of education for women, the abolition of slavery, and rights for children. They exposed the classism and brutality of the industrial revolution, and they understood how to utilize the power of words and music in order to create a more generous society. If we looked around at Winkworth’s imaginary dinner table, we would find Elizabeth Gaskell. Gaskell and Winkworth spent time together as children, before Winkworth’s mother died and she had to move. In the years to follow, Gaskell wrote many books including North and South, which has been called Pride and Prejudice for socialists. Beside Gaskell, we could find Charlotte Brontë, the eldest of the Brontë sisters and the author of Jane Eyre. Through strong female characters, Brontë explored religion and classism. At the next place setting, we might find Elizabeth Barrett Browning. We know that as Winkworth got older, she began to correspond with Elizabeth Browning, the poet who fought child labor and worked for the abolition of slavery. In our dinner party fantasy, we could also find Jenny Lind, the “Swedish Nightingale.” This extraordinary diva corresponded with Winkworth when she was not touring. Lind did not use her beautiful voice to line her own pockets, but Lind raised money for favorite charities, including schools and churches. It’s no wonder that so many brilliant minds gravitated toward Winkworth, as she used her own talents in translation, poetry and music, Winkworth also worked for the education of girls and women. Their art and passions would make them excellent dinner party companions. 117 Comments to "Eglantyne Jebb vs. Catherine Winkworth"
I voted for Eglantyne because she was famous and helped kids who were starving. You should vote for catherine if you are smart. Difficult choice, and they are just going to get more difficult as the bracket narrows. But I went for Eglantyne. Yeah, I’m going to pout and stomp about this match-up! Hymns feed the soul and I am truly grateful to Catherine Winkworth for her work, but it is the feeding the children that speaks to me most forcefully. Therefore, my vote must be for Eglantyne Jebb. I had to go back and re-read the first round information on Catherine Winkworh. While I admire her work with the poor and for education for women and children I had to vote for Eglantyne. We need to heed her words ‘Surely it is impossible for us, as normal human beings, to watch children starve to death without making an effort to save them’ today as much as in her day. I was about to vote for Eglantyne for a couple of reasons: I know what it’s like to have a strange first name (the Kassebaum I married into) and mainly for her work to help children, even though she did’t really like them in person. I’m hoping to sneak an invitation to Catherine’s for one of those dinners! Me too! Maybe we can volunteer to be servers at the table. My dinner wouldn’t be actual dinner, but beer at The Eagle and Child with The Inklings. You would have to invite Maria Skobtsova. I like what you said. But ultimately I had to vote for Eglantyne, especially given the present political climate. My vote was changed to Jebb after reading today’s quirks and quotes. Very persuasive. I had not voted for either of these in round 1. I agree that Eglantyne’s write up put me over the edge for her. But they are both women worthy of remembering. convinced of their own rectitude, thought her unpatriotic and immoral for following her conscience, and thus turn them into supporters. She is truly the Great Communicator. Any one as passionate about saving children gets my vote, Eglantine is it. Pitting women against children! I must protest! But then I voted for Eglantyne. How could any normal human being not? The hymns mean so much to me, but I can’t throw the children under the bus for them! Until the world can stop its mad rush for immediate power and gain and focus on making things better for those who come after us, God’s will cannot be done on earth. Turns our our family worked at the Jebb family’s farm in Shropshire and she probably knew my great- great grandparents. So I voted for her. Me too. As a former L&D nurse and then Preschool-5th grade science and religion teacher we MUST always put the needs of children first. Both of these saints are worthy of the Golden Halo. @SEC: Bring back whoever is eliminated in this round in 2019! Food, not hymns. My vote for Eglantyne. How could one not vote for her? Sorry, Catherine. While you were busy with your writing, Eglantyne was out there, passionately saving lives. Thank you, Eglantyne. You are a star in the whole firmament of saints! Much as I admire, indeed am humbled by, Jebb’s work, it’s Winkworth for me because her work and that of others like her provides the inspiration and spiritual strength for activists like Jebb to do what they do. You had me at “Pride and Prejudice for Socialists.” I suspect Jebb will win, and she is a good eg. But I loved the scene of the literary and social salon with all the writers and artists including Elizabeth Gaskell, Charlotte Bronte, Elizabeth Barrett Browning, and Jenny Lind. Winkworth is right in the center of Victorian earnest social amelioration, and I am there with her. The table Carol asks us to envision is the heart of 19th-century feminism. It reminds me of Judy Chicago’s “Dinner Party” of 1979, a breakthrough work in art and in feminism. We know from the Last Supper that transformation happens when two or three or more gather at table to dine and change the world. More like “Pride and Prejudice” for the alt.right. Here’s the description of the novel from Wikipedia: “‘North and South’ uses a protagonist from southern England to present and comment on the perspectives of mill owners and workers in an industrialising city. The novel is set in the fictional industrial town of Milton in the north of England. Forced to leave her home in the tranquil, rural south, Margaret Hale settles with her parents in Milton. She witnesses the brutal world wrought by the Industrial Revolution, seeing employers and workers clashing in the first strikes. Sympathetic to the poor (whose courage and tenacity she admires and among whom she makes friends), she clashes with John Thornton: a nouveau riche cotton-mill owner who is contemptuous of his workers. The novel traces her growing understanding of the complexity of labour relations and their impact on well-meaning mill owners and her conflicted relationship with John Thornton.” In Chapter 17, “What is a strike?,” Nicholas Higgins explains why the workers of the textile mill are going on strike; it is because the owners have reduced wages on the pretext that they cannot afford to pay the same wages as before. Higgins is scornful: “State o’ trade! That’s just a piece o’ masters’ humbug. It’s rate o’ wages I was talking of. Th’ masters keep th’ state o’ trade in their own hands; and just walk it forward like a black bug-a-boo, to frighten naughty children with into being good. I’ll tell yo’ it’s their part,—their cue, as some folks call it,—to beat us down, to swell their fortunes; and it’s ours to stand up and fight hard,—not for ourselves alone, but for them round about us—for justice and fair play. We help to make their profits, and we ought to help spend ’em.” Justice and equity are the workers’ values; the owners’ values are the libertarian ones of absolute freedom to decide what they like without regard for the impact of their decisions on others, and self-interest. The idea that workers deserve a share in the profit they create is a Marxist one, hardly alt right. Gaskell cannot be confused with a neo-liberal or a neo-nazi. She is very definitely a Victorian social ameliorist. Thanks for the clarification St. Celia. That’s so helpful. St. C.
I wondered where you had been, Davis. Enjoy the rain! St. C, I am dying to read “N&S” now! And your “good eg” joke was not lost on me! In 2004 the BBC did a splendid four-part adaptation of “North and South.” It totally captures the spirit and ideas of the book. And the romance is…well…(fans self). Eglantyne Jebb, for putting in front of us the reminder that the neighbor we are called to love is often not someone who lives nearby or looks and sounds like us. I don’t feel as though I learned anything about why all these brilliant women were friends with Catherine Winkworth, so my vote went to Eglantyne Jebb, despite the problematic nature of international humanitarianism. NB: I study the way images of children are used in humanitarian and political causes. Those soulful eyes and loose hair. I think I’d fit in better at her parties. Catherine Winkworth, who was a writer, not a musician, but whose work in translating many of my favorite hymns into English (many are in the United Methodist Book of Hymns) had a great impact on church music. Her activity in the feminist movement also helped to pave the way for many of us who write on this site today. Save the Children. My favorite charity is the Salvation Army. I view it as the nation’s top youth serving organization. The Children’s Defense Fund is another long time favorite and, of course, they’ve written the POTUS. They may actually get more and better youth serving legislation passed than most other orgs. Not now, not with this WH. Save the Children may do more, worldwide. We need them now, more than ever. Check out CDF on FB just to see what they’re saying about gun legislation. Vote for Eglantyne and donate to a youth serving agency–including your parish youth group. “Pride and Prejudice” for socialists? Really? “North and South” is elitist and anti-union. Worse still, its idealization of the Nordic type over all others (particularly the Celts) is an earlier version of the Nazi idolization of the Aryan. Sorry, had to get that dig at “North and South” in. It doesn’t add to or detract from either of the candidates. Have to stand up for “North and South.” It’s very sympathetic to the need for unions, although it shows bad apples among both the unions and the bosses. The mill owner “hero” eventually learns to listen to his men, and work out ways of helping them. He certainly doesn’t become a socialist, but he becomes more sympathetic to their needs. Also, I don’t really see where the idealization of the Nordic type comes in, although I may have missed that in my reading. 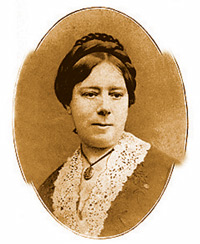 Gaskell often dealt with the conflict between the classes and in support of the working class. In “Sylvia’s Lovers” she also depicted the unfairness of press gangs who preyed on whalers returning from years at sea, abducting them without allowing them to let their families know what has become of them. James, you are too amusing! LOL You are lost but not forgotten, oh my daaaarlin’ Eglantyne! Still disappounted Watts is not in this bracket. Jesus himself spoke in children’s behalf, so how we not? Music (and the words that go with it) soothes and stirs the soul, and is a necessary art to feed and challenge us, but we MUST save the children. Having seen firsthand the difference in Honduras where hungry and starving children are taken in and nurtured, I have to vote for Eglantyne. Also, as a retired early childhood teacher, I know only when children are fed can they then learn. Good work both Eglantyne and Catherine. Starving children can’t learn, make music to glorify God, or anything else. Much as I value Winkworth’s contributions, her gifts to humanity can only be used after the children’s most basic hunger is satisfied. Feeding the children is most important. They have been and always will be the future. If this round of Lent Madness was Discussions and Dinners then CB Carol Howard Merritt’s write up of Catherine Winkworth would be helpful, but while I would love to spend an evening with Langston Hughes, Zora Neale Hurston, & Duke Ellington, I would also like to know about Winkworth’s Quirks & Quotes. I’m casing my vote for quirky and quotable Eglantyne Jebb, whose first name I like even more now that I know about eglentine. And yes do support the work of your local parish’s youth group and your diocese’s youth work. And also support college ministry! Remember if you are short on treasure, you may have time and/or talent to spare, and even if you have not those, you certainly can hold them in your prayers! Tough call, as the family of my first martial arts teacher once owned the house where Jenny Lind stayed on one of her visits to Boston. However, what won me over to Eglantine Jebb was her facing down a largely hostile crowd in the Royal Albert Hall. That speaks to a variety of heroism that gains my support every time! I want a spot at Catherine Winkworth’s dinner party. I didn’t vote for either one in previous brackets. My guess is that Eglantyne will win because anyone who rates high on social justice seems to win. However, because of the beauty of her work, I am voting for Catherine. My vote went to Winkworth because I am a proponent of music in worship as a way to offer praise, lift our spirits, and as an act of devotion. Tough choice, but I had to go with Eglantine. That Albert Hall thing was a total mic drop. I couldn’t help but remember that Chaucer’s Prioress in the Canterbury Tales is called “Madame Eglantine.” A worldly nun, she feeds her lapdog expensive white bread while apparently caring nothing for the peasants of her time, whose lives were so wretched they felt driven to revolt. 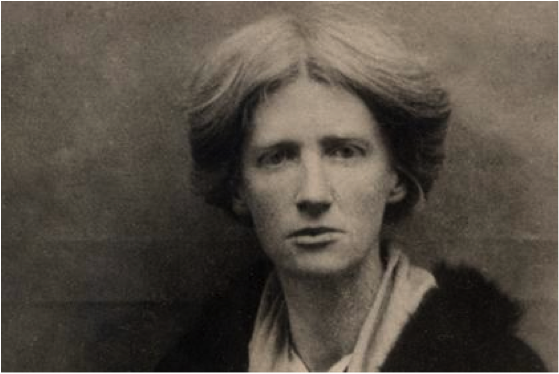 Eglantyne Jebb is her direct opposite, someone who not only helped the poor and suffering but worked hard to bring their needs to the attention of those who otherwise might have happily ignored them. She has my vote. The estimable Miss Jebb for me. Singing is a worthy thing; but the work of the world must take precedence when young lives are at stake. Children are starving today and Save the Children is still at work on their behalf. Singing has nurtured many a soul for work in the world. Looks like I am voting for the loser again. Voted for Winkworth because of the translation of many hymn from German to English! Is it me or is there a little bit of an Emma Thompson look to Eglantyne? I’m surprised Ms. Thompson isn’t interested in doing a project about her. I was thinking Nicole Kidman with another proboscis prosthesis! Virginia Woolf would certainly have been at that dinner table had it been held a little later. ‘All of us have a duty to give every child the best start in life. The opening of Eglantyne’s Declaration of the rights of the child. My vote goes to Eglantyne for her courage and compassion. Having wanted to see her in Lent Madness for several years now, I am sticking with her. North & South is one of my favorite books! I’m voting for Catherine as would her buddy,Elizabeth Gaskell! I’ll bet Eglantyne wished her parents had named her Rose. But maybe putting up with that name created her fiery persona. I voted for her since I couldn’t vote for Harry Holt, whom I nominate unsuccessfully every year who almost single handedly created Holt International (adv.) to save orphans in Korea and now all over the world. Next year for Harry? A friend of mine is a novelist and needs a patron saint of healign that would have been around well before 1500. Here’s the deal… youngest daughter of a magical family is born with astounding powers, however, not the powers of the light as the rest of her family but the powers of the dark. She, as is everyone in her family, a magnificent musician and she has a particular affinity for the flute. Dan wants to bind the daughter’s dark powers and she is given a special tea several times a day, the entire family and all the servants are part of the collision. The family itself is pagan, worshipping the Greco-Roman gods, ancestors are Irish Celts/Roman Catholics. Is there a saint you can think of who would particularly resonate for healing from such an intense family betrayal? Patrick and Brigid would have been in Ireland before then among others. And wasn’t Dympna Irish too? You may want to consult Foxes’ Book of Martyrs.
. . . will help . . . not we’ll help . . . stupid auto-co-wreck . . .
I’ve been in grateful love with Catherine for far too long to jilt her now. The background concerning her intellectual circle was extra-illuminating. I’m annoyed by the imputation that as long as children are starving nothing but relieving them has value. If that’s so, why aren’t we all out there on the bulwarks, saving children? The truth, I submit, is far more complex: all of our efforts, undertaken in Christ’s name, form an interactive, mutually supportive whole. The same comment might apply to many other LM matchings. Thank you THANK you, Davis! I’ll dine with Catherine but take up a collection among all those illustrious guests for Eglantyne’s cause. Vote Jebb! Today is International Dudes Honoring Women’s Achievements by using Feminine Pronouns day. I also thought Martin was a man. Never knew a female Martin. Voted for Catherine, but not really with any enthusiasm. Maybe the writer of today’s introduction was subconsciously wishing that Dymphna had beat Martin whilst writing the introduction. Would a vote for Catherine be a vote to salvage the reputation of Jenny Lind, after “The Greatest Showman on Earth” turned her into a bimbo? Hello? Hello? No one’s seen “Greatest Showman”? Eglantyne could be the current-day Saint for Child Victims of Gun Violence. No deliberation needed today – Eglantyne all the way: That passion, that eloquence, that daring – saintly qualities indeed, especially now. Posted in honor of the young leaders of the March for Our Lives. God bless and protect them. Today it’s 6 of one and 1/2 dozen of another and a hard choice but, in the end, I voted for Catherine based on “eeny, Meeny Miny Moe”….I know, I know…not too cool. At least it wasn’t because she’s the “underdog”. Thank you for that. I have to admit that I don’t like “Save The Children” commercials. I would rather be in the company of strong women. Must agree with you about those commercials. Given today’s Eglantyne Love Fest, Richard’s gonna need it. Filling Royal Albert Hall — amazing! I do appreciate Catherine but went with Eglantyne this time. Found a story about her that I love. Apparently she asked the Archbishop of Canterbury to support her work, but he was hesitant. So she went to the Pope instead, and he was enthusiastic about it. Seeing that, Canterbury came on board. 🙂 Nothing wrong with a little ecumenical arm-twisting for charity!